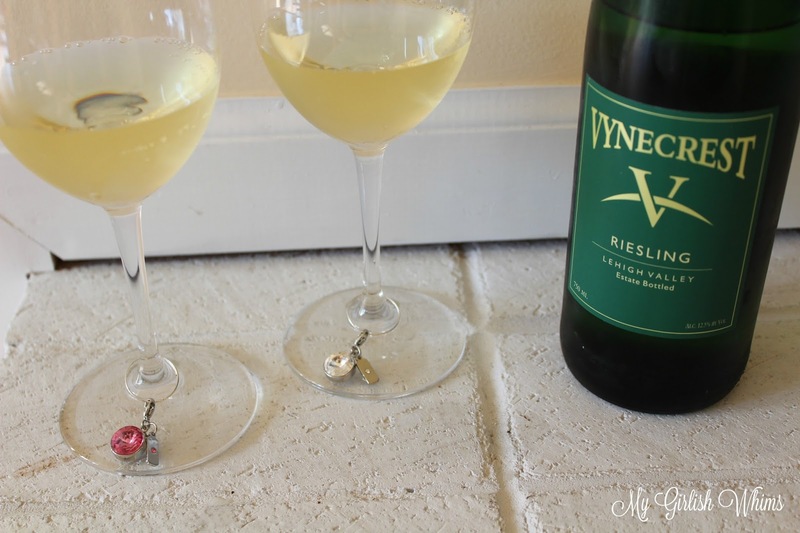 Today's project that I have to share with you all is a real winner because it involves two of my most favorite things in the whole world: beading and WINE! Ok so technically this isn't really a jewelry making project, but more of just a general craft but it does involve CRYSTALS and it most definitely involves wine. 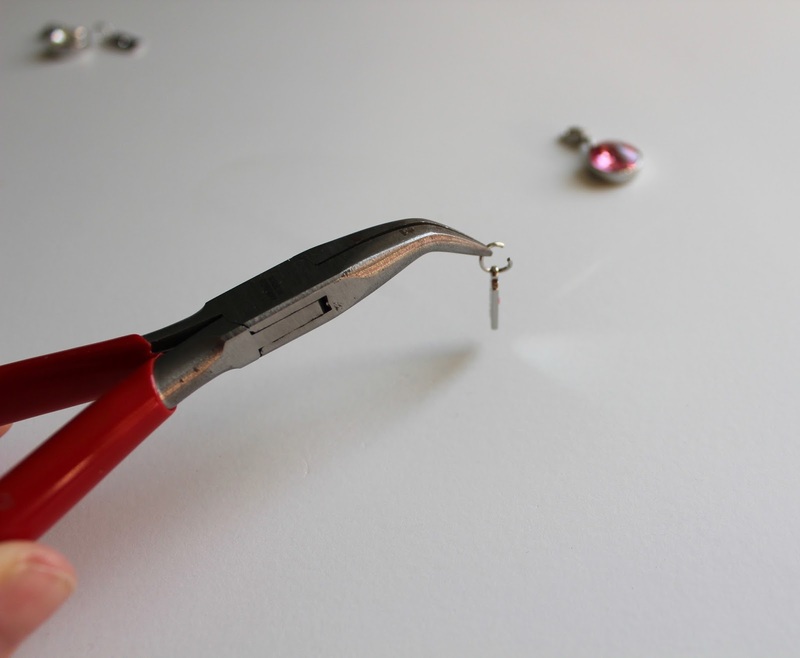 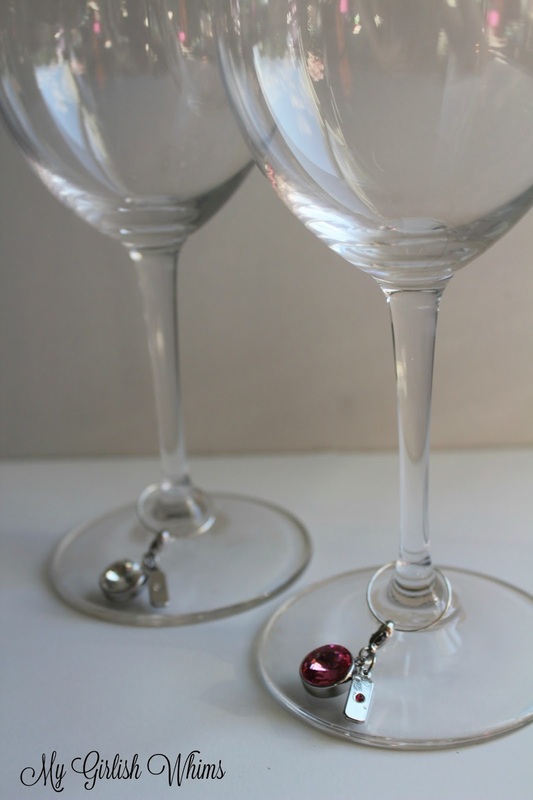 Yup, we are making wine glass charms- whoop, whoop! 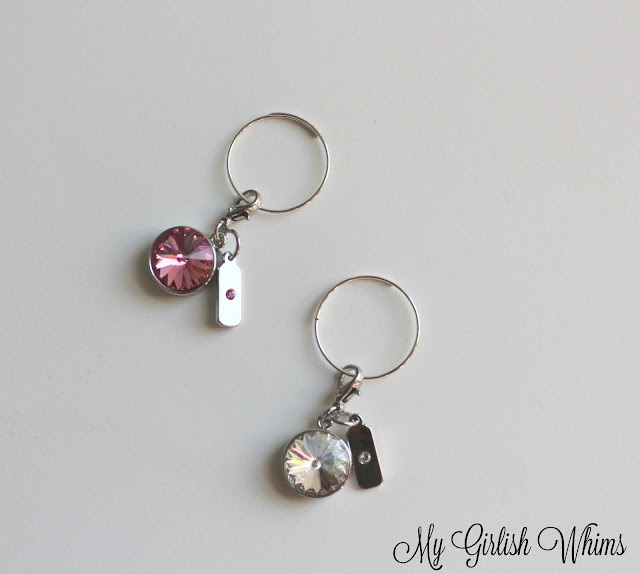 I whipped up these cute little wine glass charms after receiving a few of the new charms made with Swarovski® crystals from Cousin Corporation that are now available in Michaels stores! 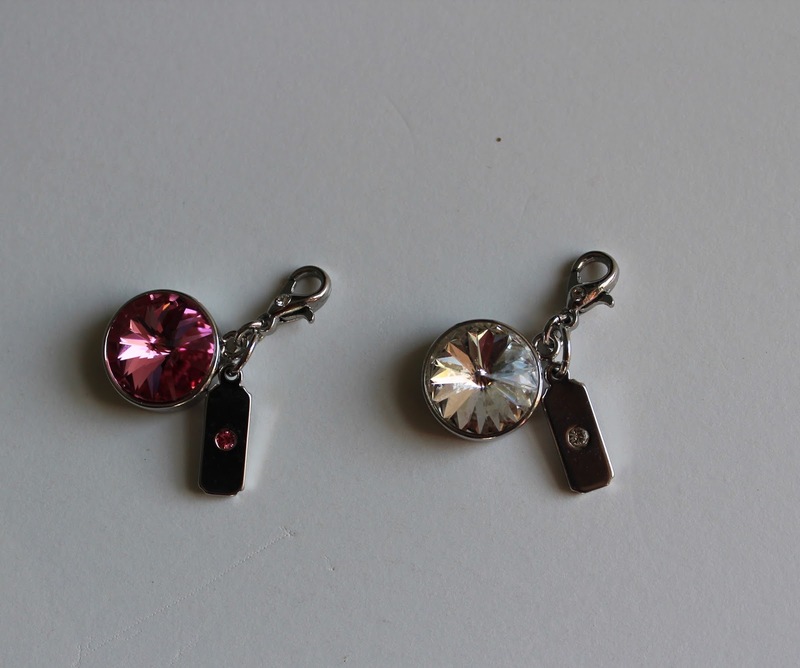 I was immediately drawn to the pink and clear crystal charm sets because, well, OBVIOUSLY I love pink and sparkles. 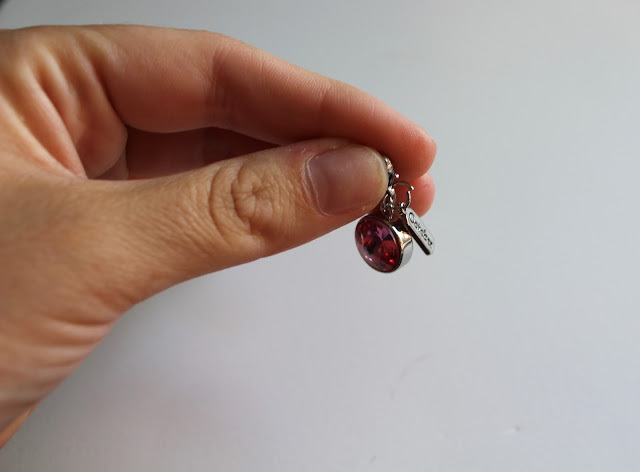 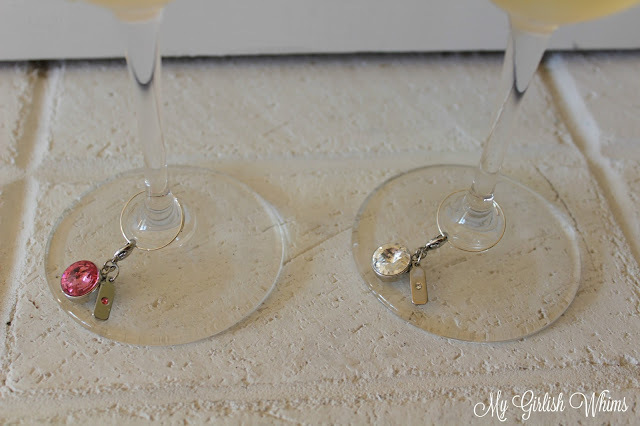 I decided to connect the two sets to make a dainty little pair of wine glass charms. 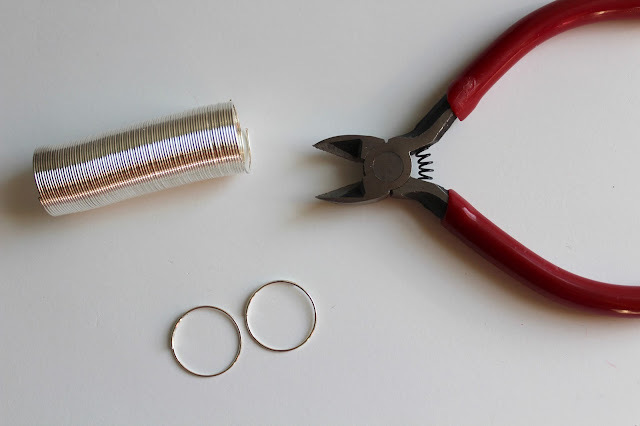 This is pretty much the easiest DIY ever - you can make your own version in only five minutes with very little materials! 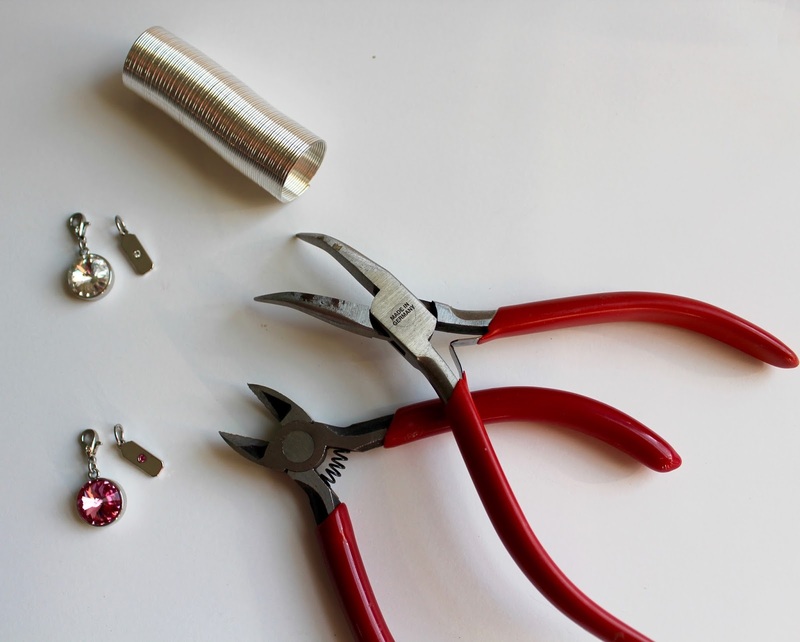 Clip the Charms with Swarovski® Crystals onto the memory wire, and you have two cute little wine glass charms! 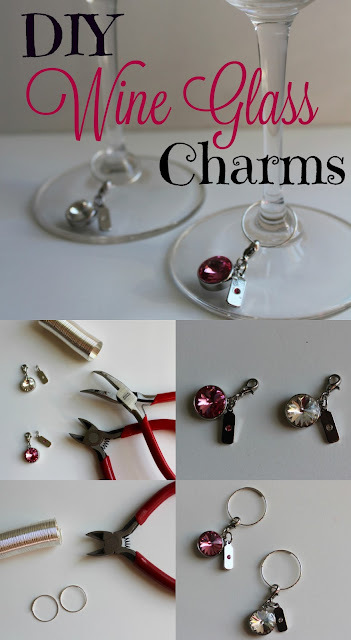 To attach the charms to the wine glass just pull the memory wire open and insert around the wine glass stem. 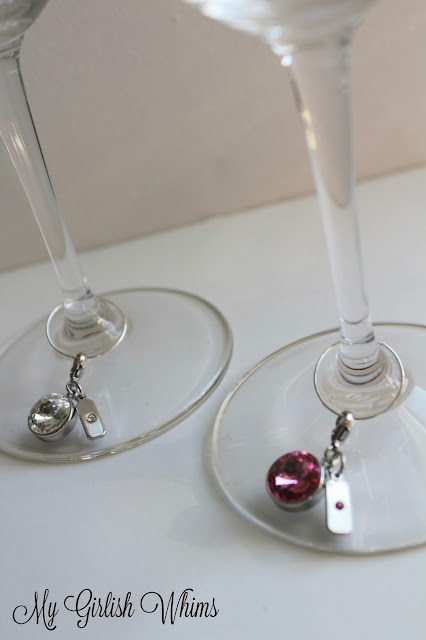 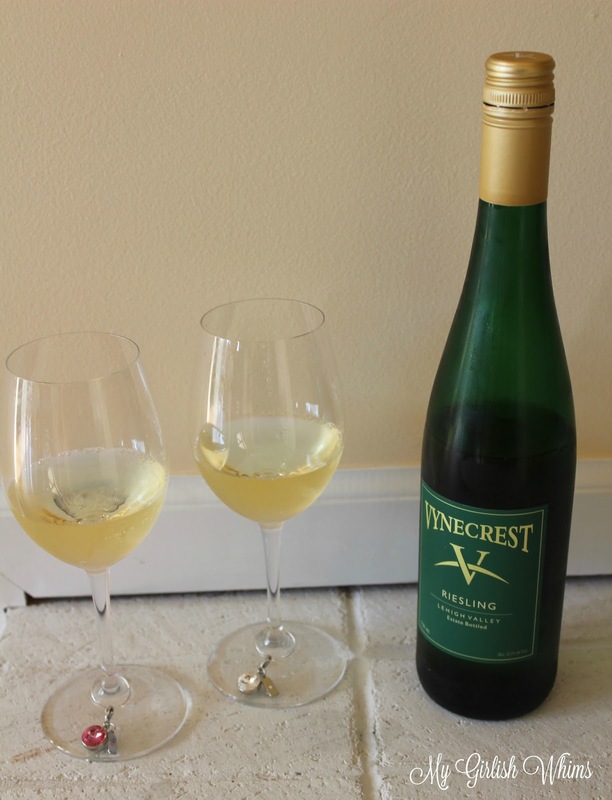 Now whenever I have a girlfriend over to share a glass of wine, I don't have to worry about where I left my wine glass sitting or where she left hers or mixing up who's glass is whose...with these cute little color coded charms we will always know who has which glass! 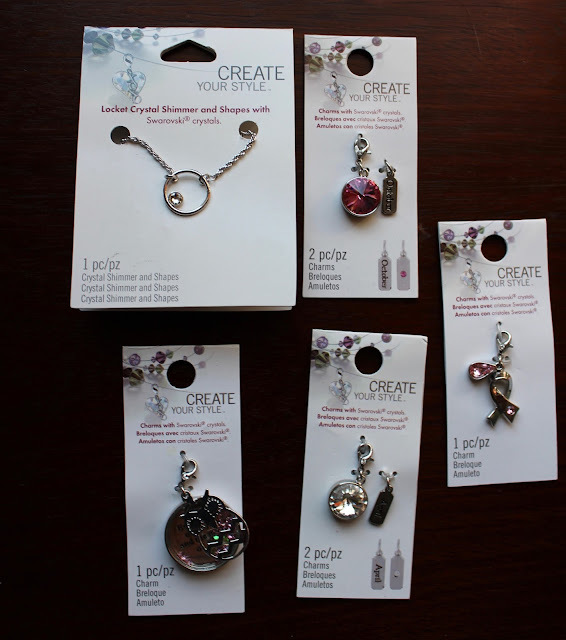 What can I say...I know what my strengths are...crafting and drinking wine!!! For everyone else who drinks wine at a normal pace though, these little wine charms are a quick and easy project that will come in handy next time you are sharing a glass with a friend!